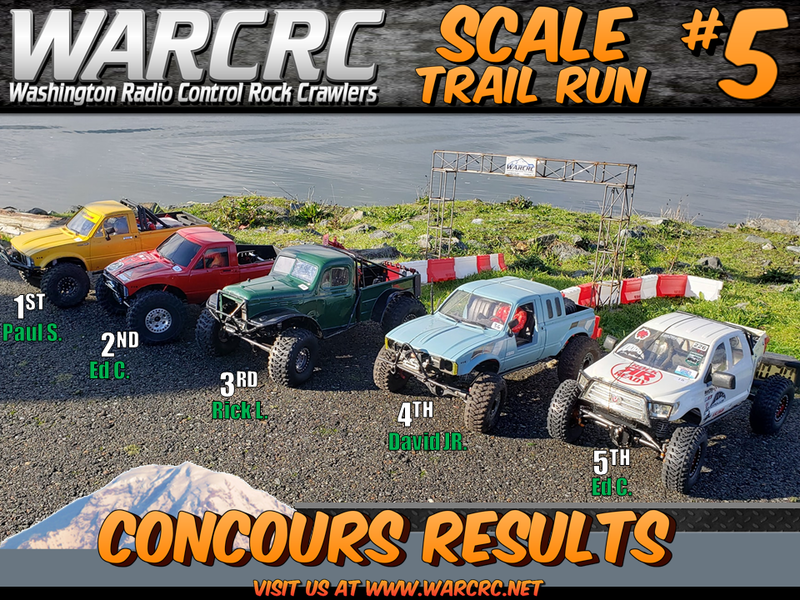 A “Scale Trail Run” is a event with minimal rules, created to be a fun and somewhat rule free. One driver will start the course with a judge following them recording penalties. Winner is determined by least amount of penalties and ties are broken per who has the fastest time. 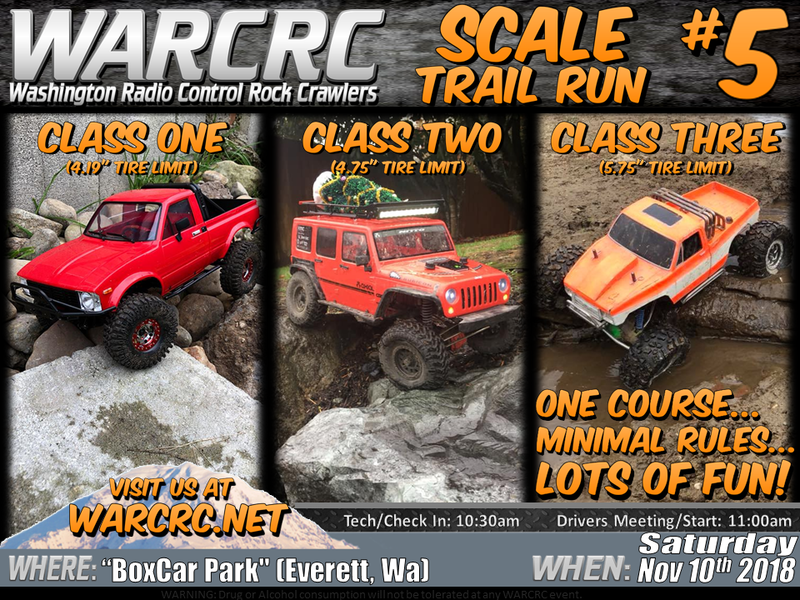 This event is to mimic the all popular "King of the *ammer" race. Last edited by justinart24; 11-04-2018 at 09:47 AM. Last edited by justinart24; 11-11-2018 at 11:14 AM.